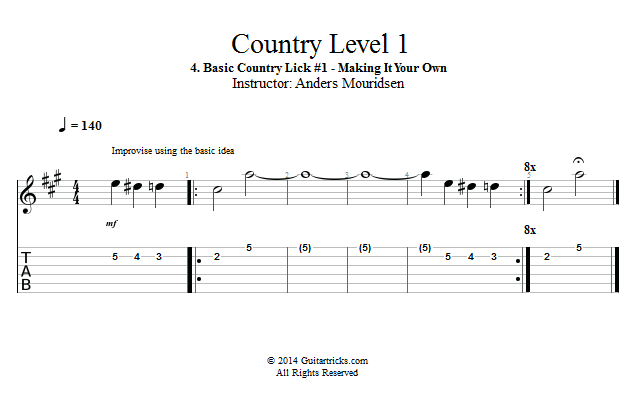 Now it's time to make this lick our own by messing around with the order of the notes and the rhythm of it all. First we'll talk through the different ways to approach this, and then we'll try it out over the backing track. I'll solo for 8 bars, then you'll go and so on back and forth. Remember to keep your ideas really simple and listen to me for inspiration.